Each year, The BiG Africa Supershow brings together regulators, operators and software providers from across the continent to discuss the future of the industry in Africa. As well as staying up-to-date on legislation, technological innovation, and marketing techniques, attendees will also benefit from a vast array or networking opportunities and ultimately leave with a completely new perspective. To entice and excite even more gaming sector professionals to attend and companies to sponsor and exhibit at this must attend summit taking place at Emperors Palace from 25-26 March 2019, Eventus International has announced their February specials that will be running for the first week of February only. Delegates who book and pay for the BiG Africa Supershow between 4-8 February will receive a 20% discount on the delegate fee. Book your stand at 3 or more of our shows and receive a USD 1000 discount on the lump sum. 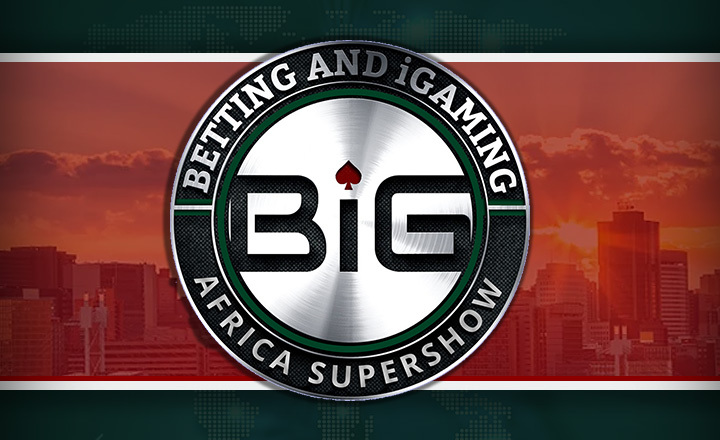 With over 30 industry icons as speakers at the event and 2 streams covering both online and land-based, sports betting and casino, the BiG Africa Supershow is positioned to be your gateway to the African market by giving you all the knowledge and contacts you need to thrive in the African gaming sector. Hurry! The promotion ends on the 8th of February 2019! To say that Africa is an untapped market for the gaming sector would truly be an outdated statement. More and more operators join the competition every year, and Africa’s rapid increase in infrastructure development and internet access is connecting the continent like never before, which is creating even more opportunities for the rise of new stakeholders. As the market becomes ever more competitive every day and as the latest advancements in technologies evolve and change the market, the need for all stakeholders to stay up to date on current affairs and make use of cutting-edge solutions to market challenges becomes even more necessary every day. Eventus International has spent the entire year researching solutions to these challenges and finding the latest, most cutting-edge advancements world-wide at our events such as: SPICE India, Sports Betting East Africa, Sports Analytics Africa, Cyprus Gaming Show, Artificial Intelligence Malta, Sports Betting West Africa, and the Scandinavian Gaming Show to bring them all together for a massive exchange of ideas. Prepare for the biggest gaming industry gathering of the year as we bring back some of our show’s most knowledgeable and respected stakeholders for the BiG Africa Supershow 2018! The programme has been designed to give all African stakeholders from all aspects of the industry the skills necessary to remain competitively strong and utilize new technologies to keep your players entertained for in 2019. Bookmakers, casino operators, gaming regulators, government associations, software solution providers, affiliate marketers, fintech companies and leading stakeholders in the gaming sector are all going to be there, and you should too! The event is supported by CoinPoint Group Inc – a premium marketing agency, founded in 2013, working with businesses of all scales within the crypto space. Bitcoin Casino Affiliates does not endorse nor support this product/service. Bitcoin Casino Affiliates is not responsible for or liable for any content, accuracy, or quality within the press release.